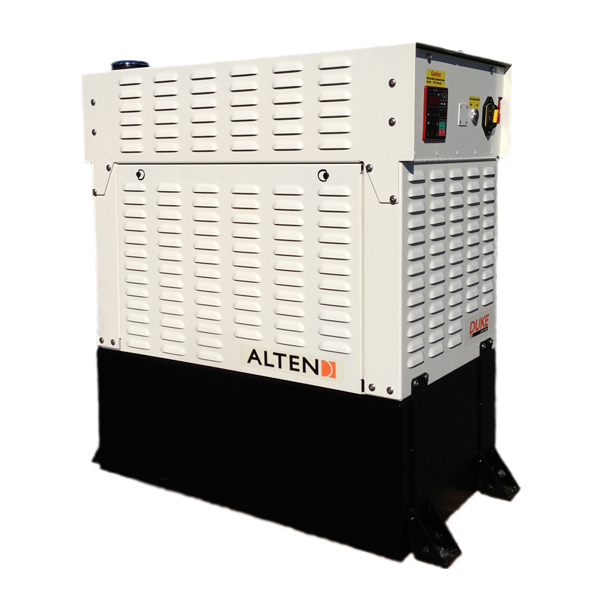 ALTEN DC Generators are the direct solution for backing up 12, 24 or 48 volt battery systems. Available in gasoline, diesel, propane and natural gas models, our battery charging DC generators can be found all over the world, from the wind farms of the North Sea to the mountains of Chile. Originally designed for the rugged Australian Outback and tested throughout the world for the past 20 years, our portable Battery-Charging DC Generators are a fast and convenient way to charge batteries. Whether for recreational vehicles, remote power applications, marine backup, emergency response or service vehicle support, portable DC power can now be available anywhere you need it. For more product information, images, technical specifications and downloadable brochures, checkout our line-up of Battery-Charging DC Generators below. Our Honda powered battery-charging DC generators are designed to be dependable and rugged, and are designed and built in the USA to withstand the toughest environments. The ALTEN G1 Gasoline Battery Charging DC Generator is hardly a lightweight when it comes to providing up to 55 amps of 12 volt charging power. Driven by a Honda GXH50 engine, the easy starting G1 is fuel efficient and backed by a 3-year Honda engine warranty. 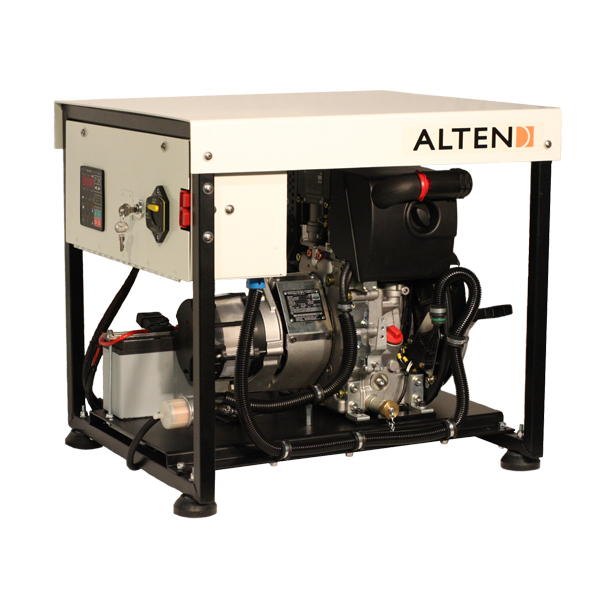 The ALTEN G2 Gasoline Battery Charging DC Generator is powered by the Honda GX160 engine. Available in two voltage models, the 12 volt model delivers a maximum of 120 amps of current, and the 24 volt model provides a maximum of 45 amps of current. The ALTEN G3 Gasoline Battery Charging DC Generator is our largest Portable Gasoline DC generator and is powered by the famous Honda GX200 engine. The G3 provides 24 volts up to a maximum of 80 amps. The G3 is available with pull start or key start. Our diesel powered battery-charging DC generators are configurable to nearly any application. Available with a number of options for operating, fueling and weatherizing, you can customize a solution for wherever your project takes you. Our propane and natural gas battery-charging DC generators run reliably on clean burning propane or natural gas, and are designed and built in the USA to withstand the toughest environments.